OK, this time of year I expect to find multiple vessels containing fermenting grapes at the winery and even downstairs in our home wine cellar. But I did not expect to find this in my kitchen this morning. 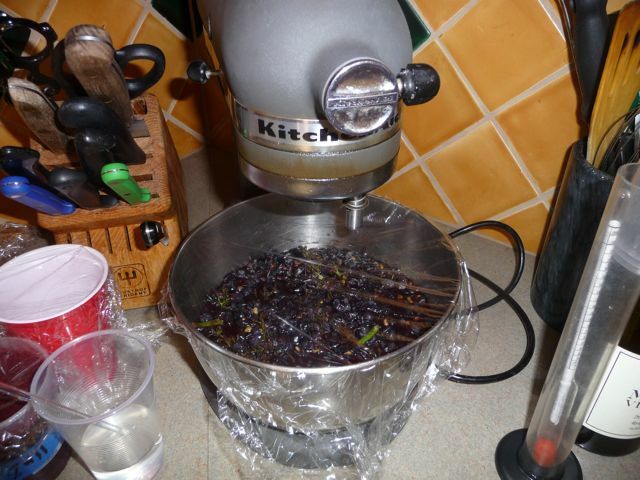 It is a small sample of our Sonoma Coast, Corona Creek Vineyard, Pinot fermenting naturally with native yeast…naturally in the mixing bowl of my Kitchen Aid. I’m afraid to check the bath tub.